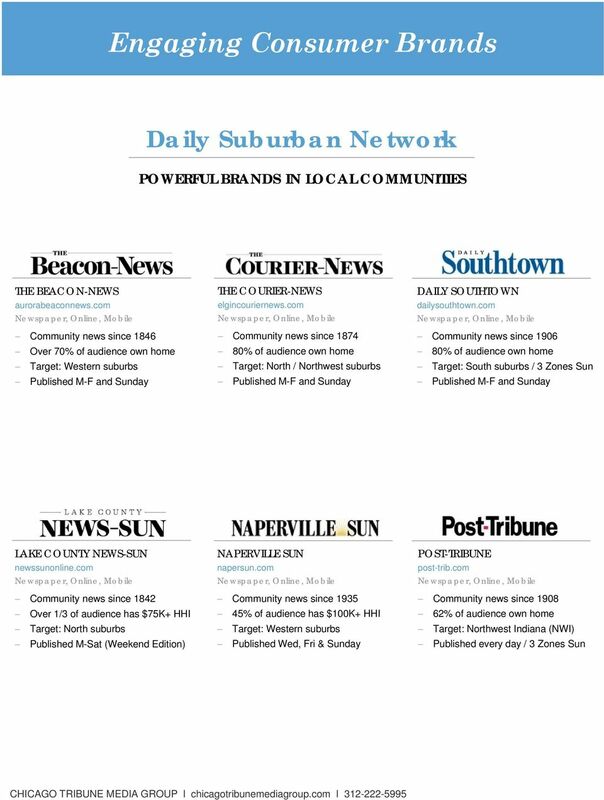 Download "Beacon News Courier News Lake County News Sun"
2 YOU KNOW YOUR BUSINESS; WE KNOW MEDIA Chicago Tribune Media Group can connect your business large or small with your ideal audience throughout Chicagoland. Your advantage? A comprehensive, local focus. Incomparable resources that deliver engaging content across all devices. 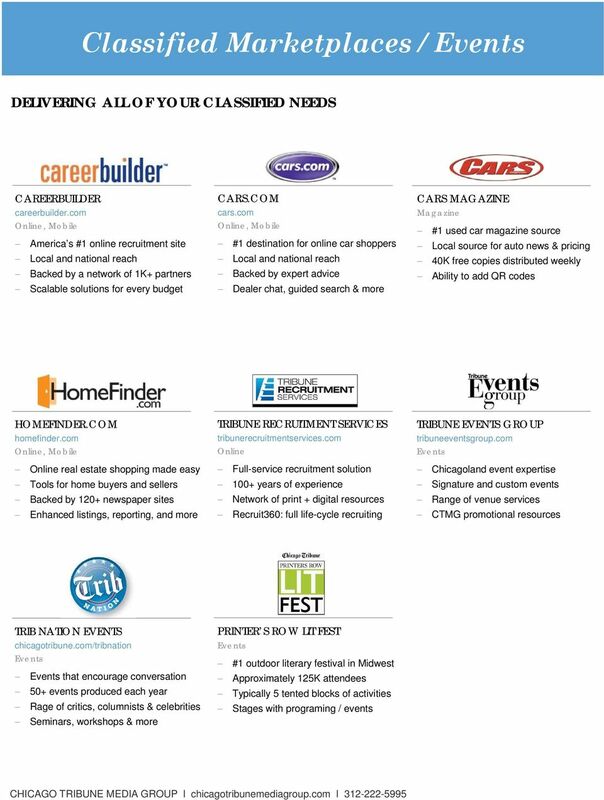 A rich portfolio of services and partners that will meet your every need. We ve helped businesses in the city and suburbs for more than 160 years. 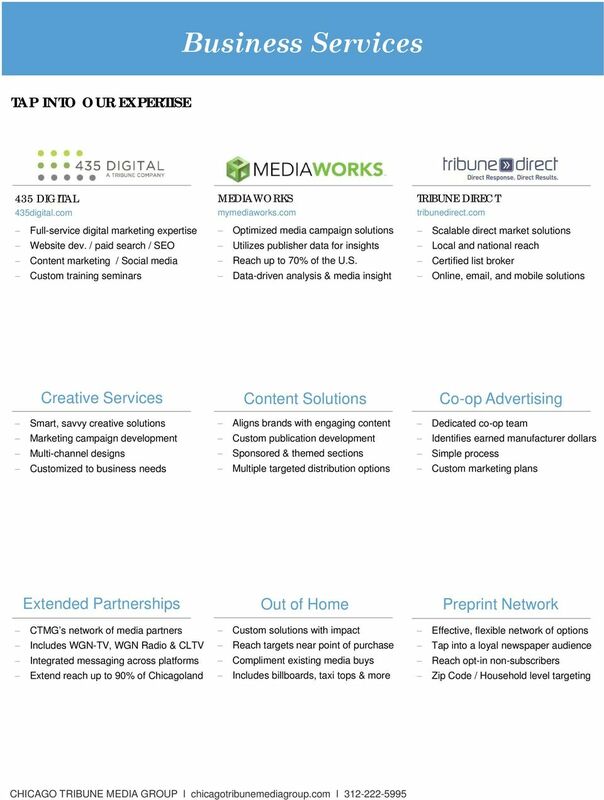 Our capabilities and integrated marketing opportunities will set you apart. 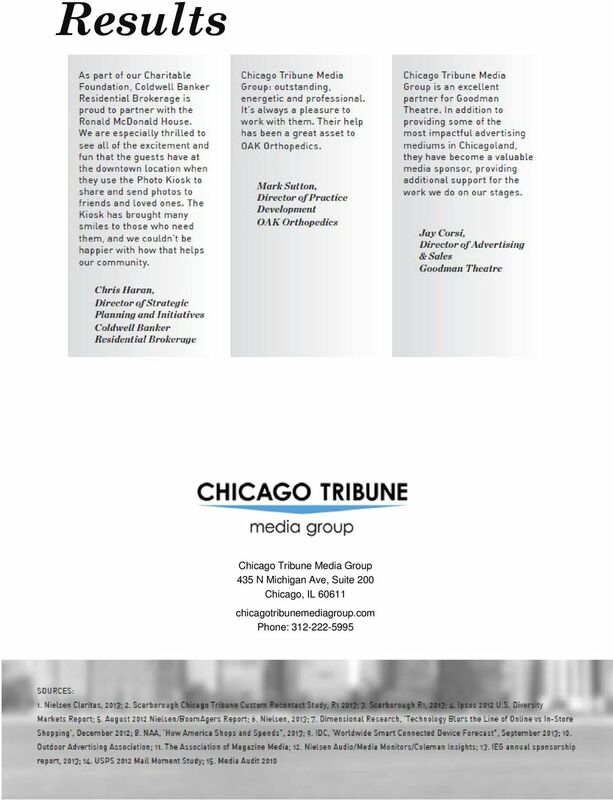 Engage Chicagoland. Get results. HOW WE DELIVER A proven approach Our experts specialize in crafting customized solutions designed for your needs. 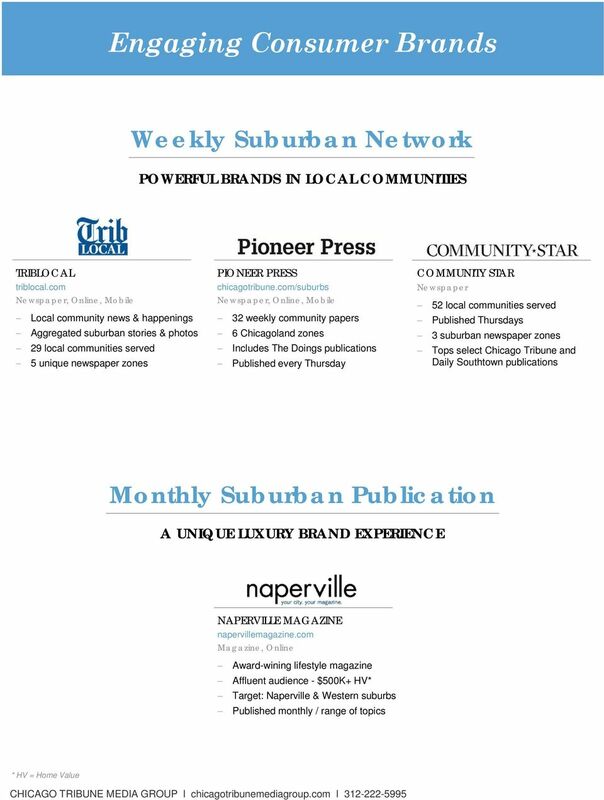 Marketplace knowledge We understand Chicagoland consumers and what it takes to reach them. 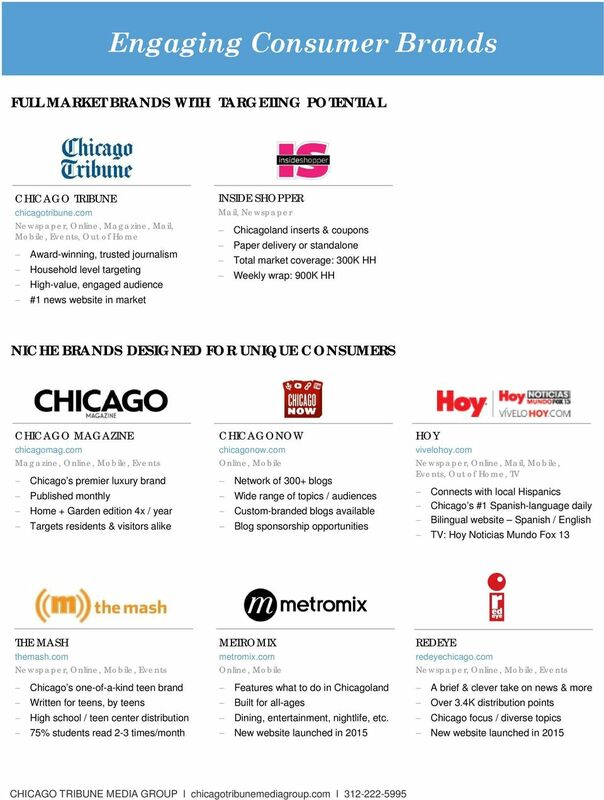 Media with impact Reach your target customers through our diverse portfolio of media brands. Business services Our full range of services makes it easy to do it all. Results We have a proven track record of helping clients achieve success. 3 Hello! Online 91% of internet users have gone into a store after being influenced by an online experience. 7 Newspaper 84% of newspaper readers check newspaper ads on a regular basis. 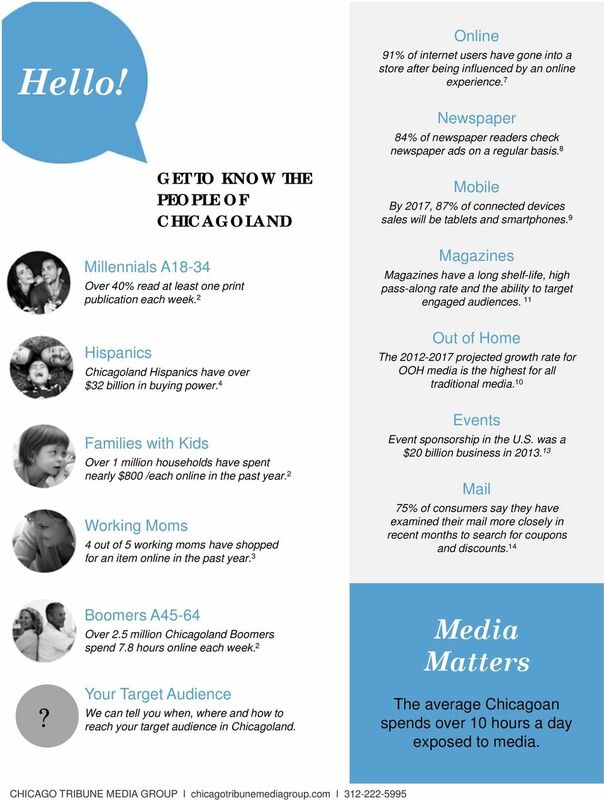 8 Millennials A18-34 GET TO KNOW THE PEOPLE OF CHICAGOLAND Over 40% read at least one print publication each week. 2 Mobile By 2017, 87% of connected devices sales will be tablets and smartphones. 9 Magazines Magazines have a long shelf-life, high pass-along rate and the ability to target engaged audiences. 11 Hispanics Chicagoland Hispanics have over $32 billion in buying power. 4 Families with Kids Over 1 million households have spent nearly $800 /each online in the past year. 2 Working Moms 4 out of 5 working moms have shopped for an item online in the past year. 3 Out of Home The projected growth rate for OOH media is the highest for all traditional media. 10 Events Event sponsorship in the U.S. was a $20 billion business in Mail 75% of consumers say they have examined their mail more closely in recent months to search for coupons and discounts. 14? Boomers A45-64 Over 2.5 million Chicagoland Boomers spend 7.8 hours online each week. 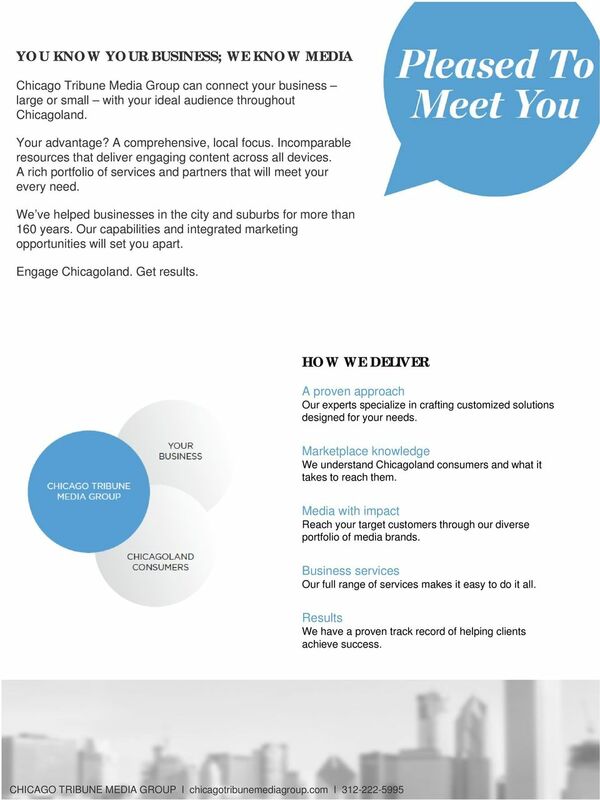 2 Your Target Audience We can tell you when, where and how to reach your target audience in Chicagoland. 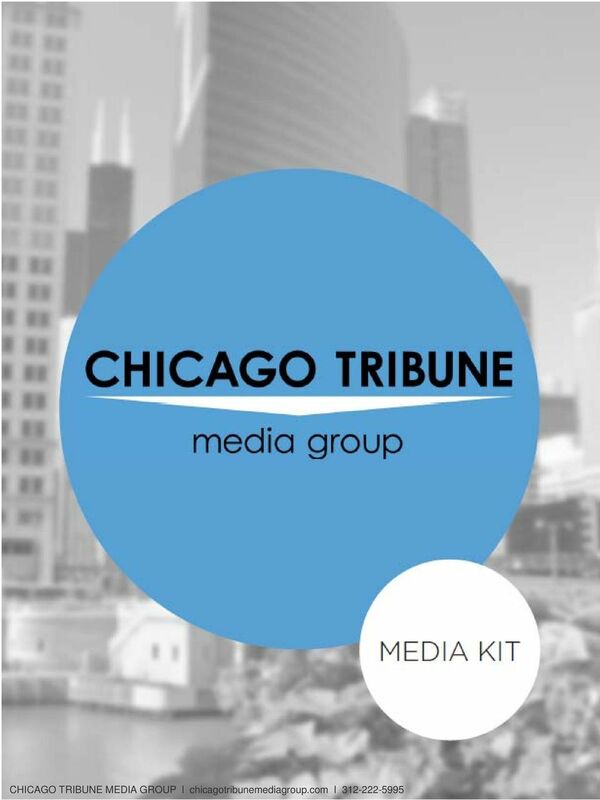 Media Matters The average Chicagoan spends over 10 hours a day exposed to media. Hampton Roads Market. Hampton Roads is the 34th largest market in the country based on total population. 4/15/2014 4/16/2014. Sponsor Packages. in Leipzig, Germany. by iambassador and. By invitation only. If you're not appealing to every minority community, be that racial or in terms of sexual orientation, you're missing out on market share.